With the announcement of the Screen Actors Guild nominations this morning, it's time to look at the Oscar race in a new light. The big news is, of course, the unexpected dominance of Into the Wild, which led the pack with 4 nominations for Best Ensemble, Best Actor (Emile Hirsch), Best Supporting Actor (Hal Holbrook), and Best Supporting Actress (Catherine Keener). This is a major and richly deserved Oscar boost for the film, although I am still not 100% sold on its chances of being in the top 5. But as AwardDaily's Sasha Stone pointed out - support at the SAGs indicates a large support from actors, the Academy's biggest voting block. Could this be this year's Crash, a smaller, actor-supported film released earlier in the year (in this case September) that rides a wave of last minute support to a nomination? It was nearly universally ignored by the Golden Globes, but then again so was Crash. 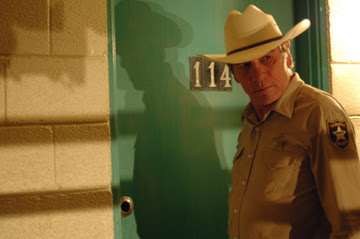 Of course, No Country for Old Men continues its awards season juggernaut, and has officially swiped the front-runner status from Atonement (which was soundly ignored by SAG), with 3 nominations including Best Ensemble, and a well deserved nod for Tommy Lee Jones, who has been widely missing from this years kudos for this and for In the Valley of Elah. No Country's Best Picture nomination is assured, but its win is still shaky. Another question has arisen about Atonement, which may have fallen victim to its front-runner status, a la Dreamgirls. It has been the pre-ordained front-runner from the word go, but its snubbing by the SAGs could indicate a chink in the chain. Juno, widely considered to be this year's Little Miss Sunshine, proved that theory to be false by scoring only one nomination - Best Actress for Ellen Page. Sunshine won Best Ensemble last year, showing that it had wider support and stronger buzz overall. That doesn't mean that Juno stands no chance of being nominated, it just doesn't seem to be as widely beloved as Sunshine. Also missing from the nomination list was Sweeney Todd: The Demon Barber of Fleet Street, which according to Stone is because of late screeners, much like Atonement and There Will Be Blood. The ensemble nominations included two surprises - 3:10 to Yuma and Hairspray. I doubt this means anything significant Oscar-wise, but it's worth noting. 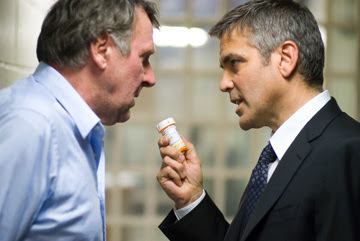 Their inclusion meant the exclusion of two of the year's best ensembles, Michael Clayton and Before the Devil Knows You're Dead. 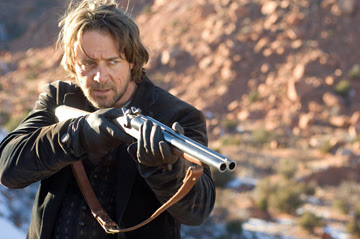 Clayton is especially surprising considering that it got 3 nominations - Best Actor (George Clooney), Supporting Actor (Tom Wilkinson), and Supporting Actress (Tilda Swinton), while Yuma and Hairspray got no individual nominations. This is the first major notice for Yuma, however, and could indicate some previously unseen support, especially among actors. But I think this year is just too strong for it to be a factor in the Oscar race.